Above is a sandblasted in a sandstone pattern, carved HDU sign for law offices. 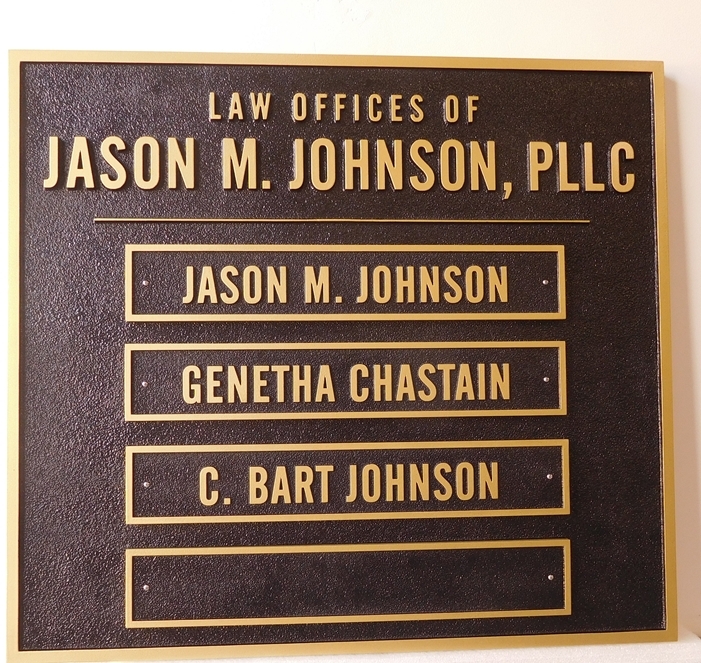 The sign features individual carved plaques for attorney names and is distinctive and professional in black and gold colors The name of the law office and the names of the individual attorneys are both carved in 2.5 D, raised, flat relief. Finally, the sign was painted in automotive-grade, long-lasting Matthews paints, followed by two successive applications of highest quality Matthews clear coat for improved durability and UV protection.